My genealogy search for many of my ancestors has been relatively easy. Many ancestors on my father's side of the family tree first came to the Massachusetts Bay Colony in the 1600's and their lives are fairly well documented. But, I am finding that the closer the ancestor is to current times, the harder it seems to find them. Case in point, the family of my grandmother, Elizabeth. Luckily for researchers, the British Government instituted a countrywide census. Beginning in 1841 the census was and is done every 10 years. Also, in 1836 the government began tracking all births, marriages, and deaths,and this compiled source is known as the BMD. Armed with a street map of Manchester, the census, BMD and alot of help from people on the web, I was able to find a few generations of Elizabeth's family. I will never know much about these people, were they happy, desperately poor, were their lives a crushing grind? Still, I know more about them then I did when I started. Elizabeth Marjorie Bower was born on 21 April 1905 in Manchester, England to William and Margaret Ann (Banks) Bowker. She died in Friendswood, Texas in March of 1981. She had two sisters and three brothers who lived to adulthood. She left home at age 18, and travelling by ship (RMS Samaria), arrived in Boston, Massachusetts on 23 July 1923. Her oldest sister, Catherine, was already living in Boston. William Bowker, her father, was born 21 November 1871. In 1892 he married Margaret Ann Banks in Clayton, Manchester, England. In the 1891 census he lived with his sister Jane and her family, he was a coal miner. 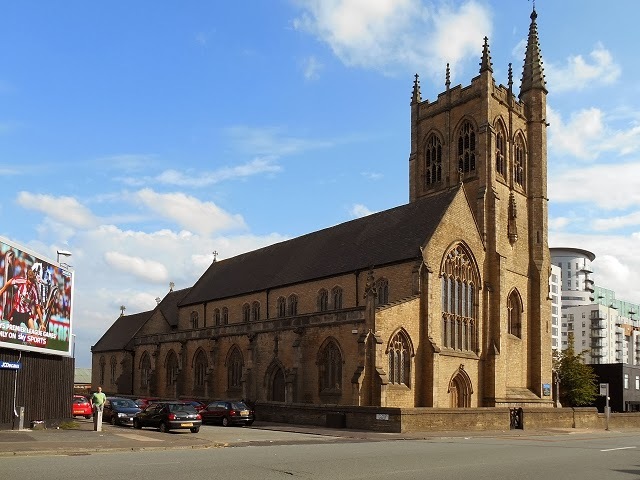 The family lived in the Bradford district of Manchester. I am waiting for the 1921 census to be released to see if he was still living at that time. William's parents were John and Elizabeth (Emerson) Bowker. John was born in 1821, date of death unknown, and Elizabeth was born in 1829. They married 16 December 1849. John is not found in the census after 1861. He worked as a cotton spinner in a mill. John and Elizabeth had at least 9 children, several of whom died in childhood. John's father, James Bowker, died sometime prior to his 10th birthday and his mother Hannah Unknown Bowker Currie remarried. Hannah, amazingly, lived to be 85. Elizabeth, John's wife also lost a parent at a young age, her mother was dead prior to her 12th birthday. Margaret Ann Banks was the daughter of James Banks, born 1841 in County Mayo, Ireland and Mary Lynch, born 1843 in Roscommon, Ireland. Margaret was born 1873 in Manchester, she died in the first quarter of 1914. 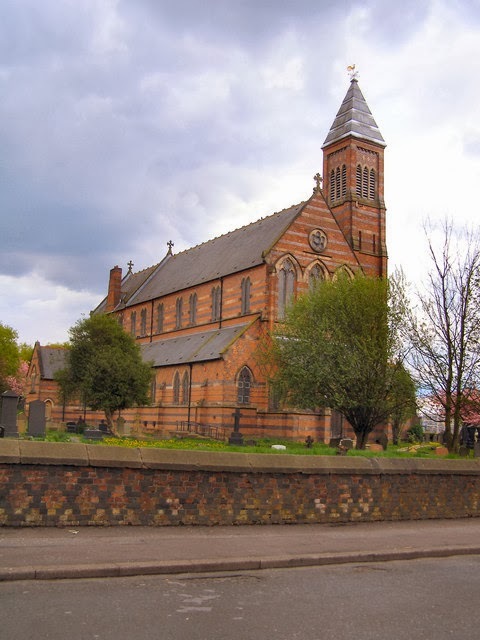 James Banks and Mary Lynch were married at St. Chads Catholic Church in Cheetham, Manchester on the 6th of August 1865. James was a cotton spinner and Mary and her family were hawkers, pushing carts in the street. Mary Lynch Bowker died sometime between the 1871 and 1881 census. In 1881, James Banks and his oldest son, Thomas, lived in what is called the Chadwicks Buildings. 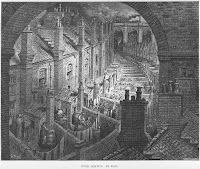 These were buildings built specifically to house the poor and destitute. His other four children, including Elizabeth's mother, Mary Ann, are in the Crumpsall Pauper House. James remarried in 1886 and had more children with his new wife Emily. In the 1891 census his older children are back with him in the family home. This is the last census in which I can find him. The only thing I can find about James's father is that his name was Thomas.